May You shine a new light on Zion and may we all merit speedily from its radiance. Blessed are You, O God, the creator of the luminaries. I have seen it attributed to Chazal, but does anyone have a specific reference? Originally understood to refer to the sunlight that is renewed each day, and that will be enhanced in the Messianic Era. Saadia Gaon [10th-century Egypt] banned it because that siddur section deals with creation, not deliverance. Sephardim follow him and recite only the blessing (yotser hameorot), not the first line (ohr hadash). Sherira Gaon [10th-century Babylonia] reinstituted it. Ashkenazim follow him. Rashi [11th-century France] advised not to recite that line because it refers to a light that will shine in the future while the theme of the blessing is a present light. The Raaven [12th-century Germany] the Rosh [13th-century Germany] and Yaavetz [15th century Spain] reconciled the two opinions: The light is the original light of creation, which was stored for the enjoyment of the righteous in the Messianic era. This article (Hebrew) by Shmuel Weingarten, argues that the controversial line was first added during the time of R. Natronai b. Nehemiah Gaon (719-730). During this time, there was a false messiah called Saria or Sarini. His name is related to the Persian word for light, and thus this line was added by his followers, referring to him as 'a new light'. In time, the questionable source of the line was forgotten, and it was adopted by the masses, until two hundred years later when R. Sa'adia Gaon challenged its recitation on technical, halakhic grounds, as noted in the question. Not the answer you're looking for? 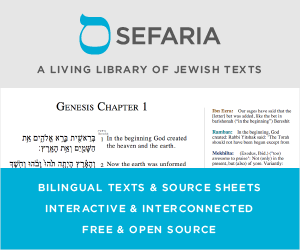 Browse other questions tagged tefilla sources-mekorot shacharis-morning-prayer .